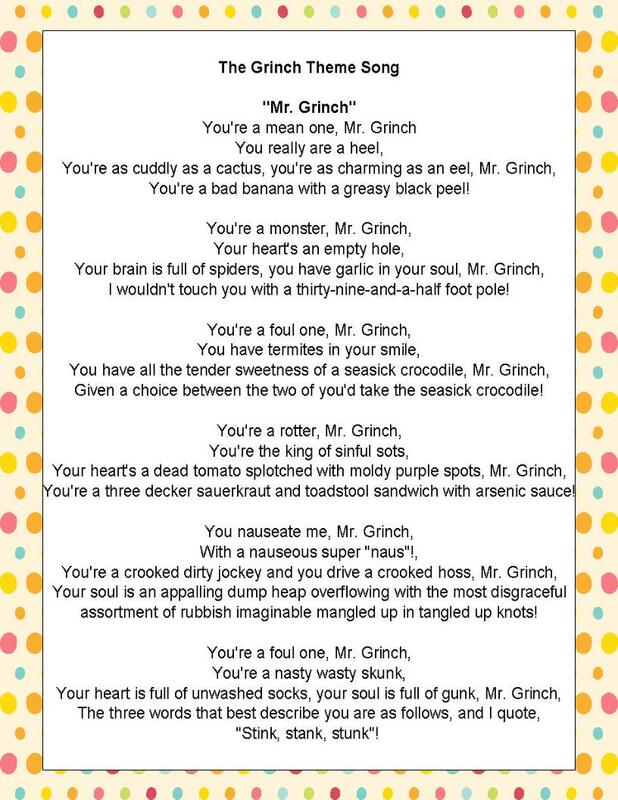 Everybody has at least some measure of Grinch in them. We all have something we hate about Christmas, or perhaps many things. Unpleasant family members, credit card debt, over-commercialization, ridiculous traffic, ruined diets, those Christmas specials you’ve seen too many times, those songs you’ve heard too many times, greedy kids, whatever, everyone has something. And some people, like the Grinch, hate absolutely everything about Christmas. I call them Satanists. Christmas can be a very stressful time if you do it wrong. There’s a lot of craziness about the holiday that often eclipses the holiday itself. But just like the Grinch, our hearts grow three times when we stop and remember that Christmas isn’t just about the noise, noise, noise, noise. It’s not about ribbons, tags, packages, boxes, or bags, but maybe Christmas means just a little bit more. As I just quoted, Seuss was a wordsmith unlike any other. He cheated left and right by pulling out made-up words from his lexicon of goofiness. However, out of that chaos came some very real order. The story has a clear beginning, middle, and end. The rhymes still work and work very well. 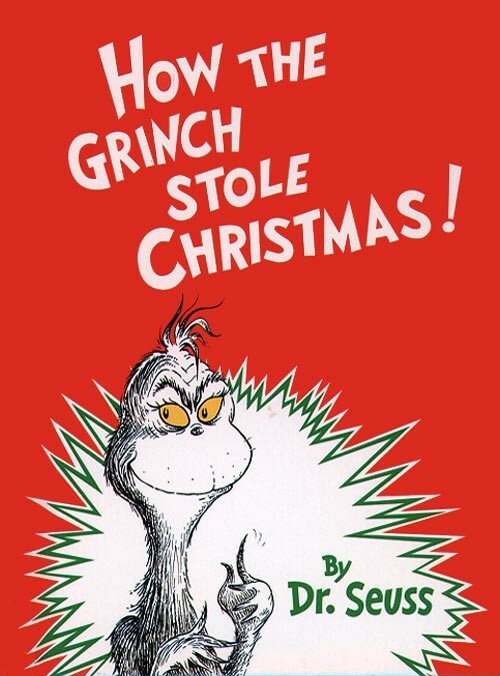 He describes with great detail the main character, Whoville, the theft, and the restoration. Basically, it’s just a well-written story. Seuss just threw in different words and phrases than we do, but unlike some poets, the words oddities enhanced the story rather than encumbering it. I believe Seuss was the Shakespeare of kids’ books. He could describe things like nobody else and made himself sound child-like, but not childish. By that I mean he didn’t pander to kids, just played with them. What’s the difference? Pandering is forgotten. Playing with our childhood resonates and makes a lifelong friend out of the audience. What could have been simple filler for time turned out to be one of the best parts of the show. This song was so rich with Seuss’s magic that the book now seems almost incomplete without it. The tune is very simple, the progression memorable, but it’s those darn clever lyrics that sell the song, full of Seuss-isms. “You have termites in your smile…your brain is full of spiders, you have garlic in your soul…you’re as cuddly as a cactus, you’re as charming as an eel…you’re a three-decker toadstool and sauerkraut sandwich with arsenic sauce.” When’s the last time you came up with such unique, yet understandable insults? Adding to the song is the voice of Thurl Ravenscroft, whose deep notes also voiced Tony the Tiger and Kirby from The Brave Little Toaster. That powerful bass sold the song on radios worldwide. The song was good, it fit the special perfectly, and it had a good singer. That’s success. Do you know what the problem was with the Jim Carrey Grinch movie? Overcomplication. It tried to add to what was already complete. 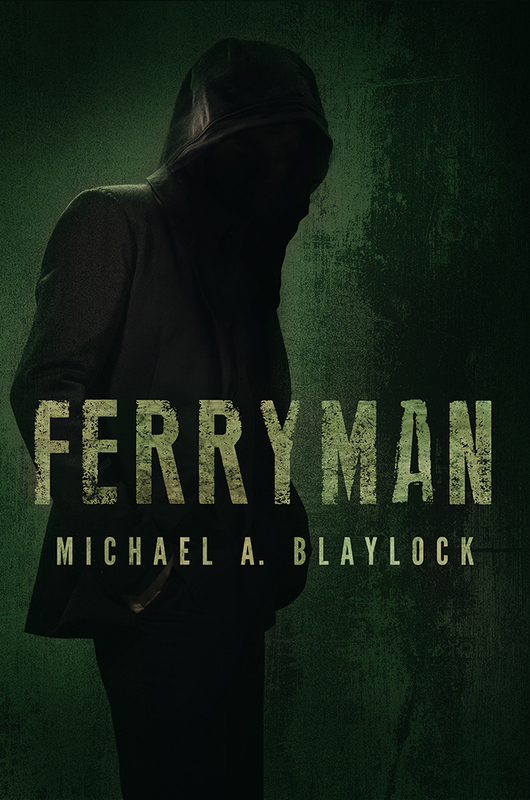 It added more backstory to a simple character and made him less interesting. It gave tons of screen time to a girl who had one line in the book. And it tried too hard to create a rich, full universe when Dr. Seuss had already done that with only a couple paragraphs. But the animated special once more took a humble backseat to Dr. Seuss’s show. Seuss knew where to begin the story and where to end it. His unique lyrics painted incredible landscapes of character and setting in less than 50 pages. True, it was a children’s book, but it never felt too long or short. Simplicity is a term lost on Hollywood more often than not. Many times, bigger, better, and fancier is cinematic suicide. Look at The Matrix. The first was a low-budget film forced to use creative camerawork which changed cinema entirely. The second and third had more money, fancier fights, and a boatload of CGI, and no one loves them. 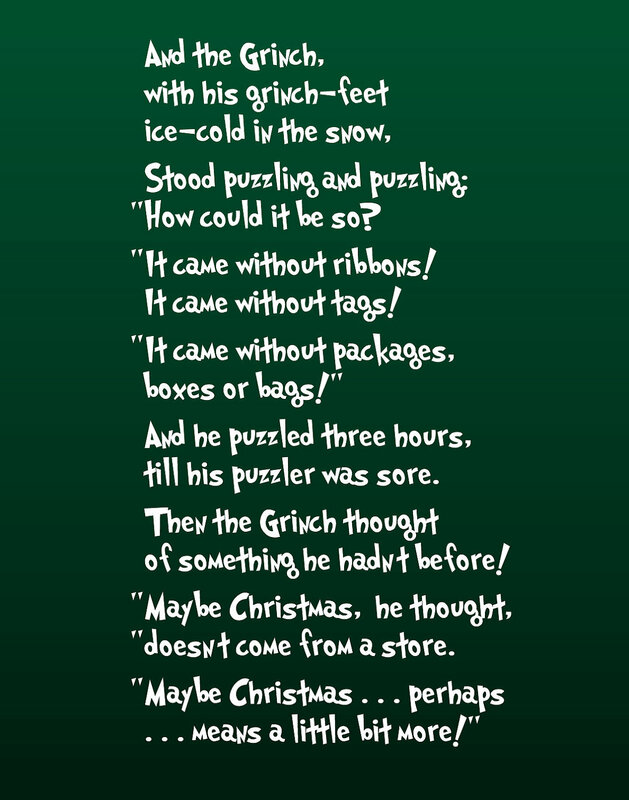 Dr. Seuss had one character, one story, one message, and one fantastic book that an animation team made into a fantastic Christmas special. What’s left to say? How the Grinch Stole Christmas is just a solid special with pretty much zero flaws, so why shouldn’t it get the number-one slot? 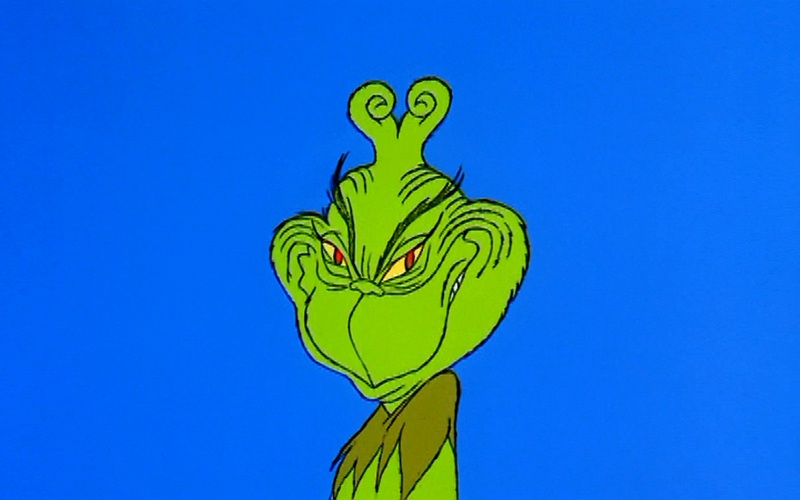 Next week, we’ll look at another animated Christmas special that’s been beloved by many generations. The Grinch is right at the top along with Charlie Brown because of the message. A Christmas Story is also great because so much of it actually happened.